The Retaxierung of recipes is a vexed issue for pharmacists. Basically, the insurance companies reserve the right to review the requirements of pharmacy of medicines deliveries. The period of this test is up to 12 months. If the error is health insurance, it can recover the compensation in whole or in part. For pharmacies, it is an advantage if this Retaxierungen can be processed accurately and with as little effort as possible. LxRetax supports pharmacies in the processing and settlement of Retaxierungen. 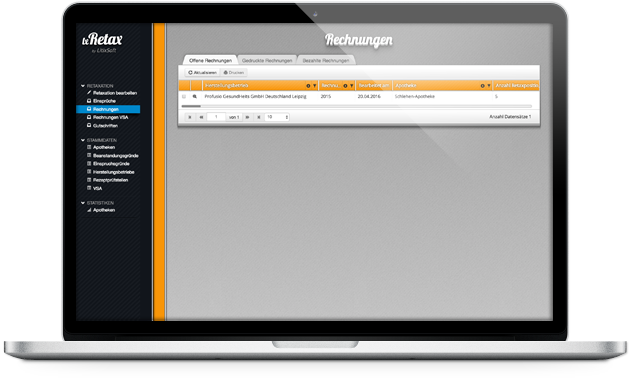 The automatic import of recipe data and the recipe images, the data base is available to edit the Retaxierung quickly. 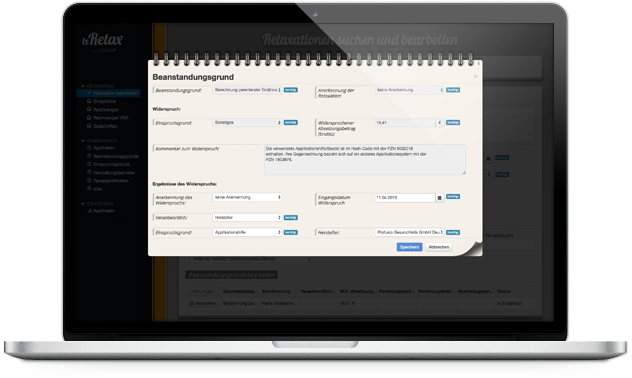 lxRetax guides the user by means of an optimized workflow targeted by the Retaxierungsprozess so that the data entry is reduced to a minimum. Of course, all bills and appeal letter will be automatically generated and archived immutable. In addition, numerous statistics allow the evaluation of the Retaxierungsdaten and help the pharmacies, identify any errors and weak points in their workflow. Pictures say more than a thousand words, that's why we made you a few screenshots. 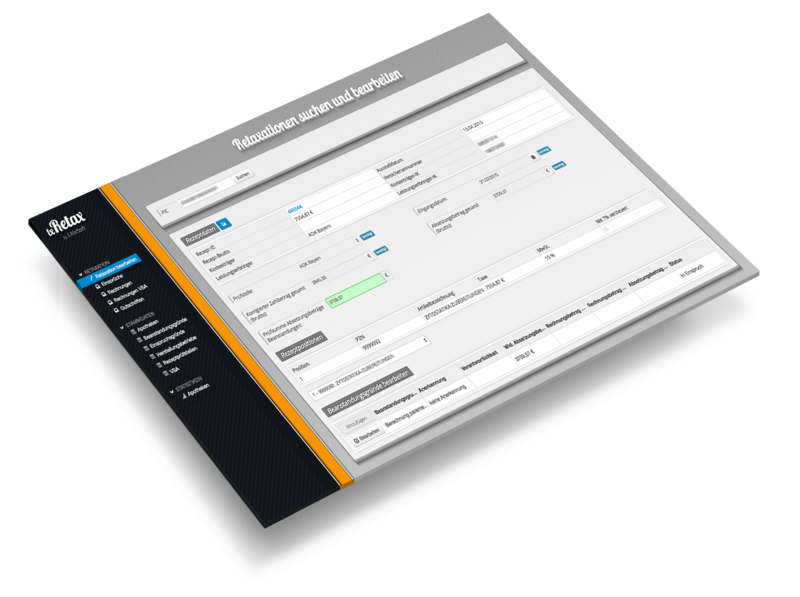 Retax was developed in compliance with high requirements as Single Page Application. Security against outsiders, effectiveness for your workflow and extensive trial of the technology used leading to the product of your imagination. Durch unsere Spezialisierung auf das NoSQL-Datenbanksystem MongoDB für lxDOC3 ergibt sich eine schemafreie Datenhaltung, welche Ihnen unglaubliche Dynamik in Ihrem Dokumentationsprozess bietet und den Umgang mit beliebigen Datenstrukturen ermöglicht. Schmale und klar gestaltete Datenbanken sind die Folge und unvorhergesehene Anpassungen sind dadurch mit Leichtigkeit durchzuführen. Diese Art der Technologie bietet Ihnen die Flexibilität, die es benötigt für eine reibungslose Aufnahme Ihrer Daten. To use lxRetax no software installation is necessary. All you need is an Internet connection and a modern browser. This makes working with lxRetax so flexible and independent of time and place. This flexibility allows you to work on desktop systems (PC) or mobile devices (tablet, notebook). Here also your operating system does not matter. We assure flawless organization - under any circumstances. Mongo Management Studio is the best way to work with MongoDB the easy way. Because of the clean and light user interface, you can execute the typical MongoDB commands fast and effective, without using the MongoDB shell. It is suitable to assists your local development and test process as well as working with your Mongo databases on remote or production servers. 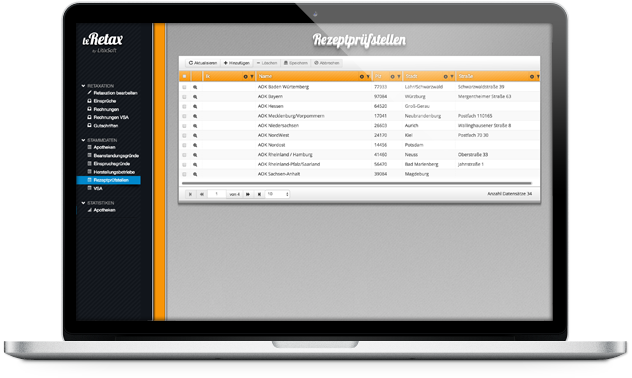 is a universal online documentation system of Litixsoft GmbH. It is used for recording, managing and analyzing of data from medical, scientific and technical processes. It was developed according to the strict quality requirements of medical studies. 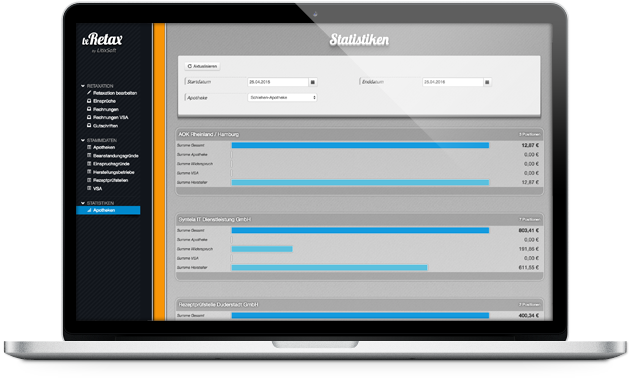 is a business intelligence tool that can support you in the preparation and analyse of your data. Over the years we have developed a considerable collection of small open source tools that assist us in our daily work. We would like to provide thme to you and hope that they help you as well. Since it is open source software you can not only use it for free but also can collaborate. Do you have questions about our products, would like further information or have suggestions for us? Then please send us an email, we will contact you as soon as possible or just call us by phone. Or follow us on the social networks and video services.